Minimize your tax burden while staying compliant. And help your staff do the same. What does the Free Guide include? An overview of what restaurant owners and managers need to know to stay compliant while still acting in the best interest of their business. A section that teaches your employees their rights (and yours). A great thing to share with your staff! 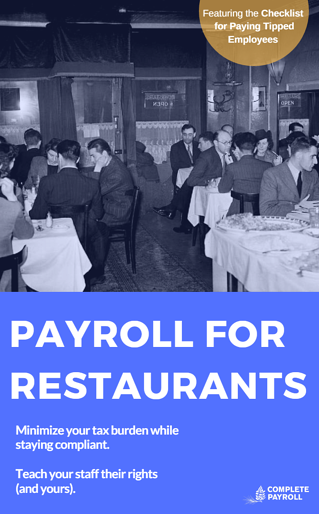 A checklist for paying tipped employees, providing a quick snapshot of everything you need to know and do to get and stay compliant. Complete the form below and get yours now!